Wow. Can you believe that the end of the school year is already sneaking up on us? I feel like this year has zoomed by! With summer vacation looming on the horizon my thoughts are turning to keeping my three boys occupied while not having my house look like a tornado came through! It’s definitely a shift in gears when you are used to the kids being in school during the week – I do most of my cleaning while the house is empty. No worries, with a few tips and tricks you can keep your home looking clean and tidy even when the kids are home in the summer! If you already keep a cleaning schedule don’t forget to adjust it to account for any schedule changes in the summer, some tasks may need to be done more often when the family is home all day while others less so. For instance, I schedule my laundry days around when I need to wash school uniforms during the week. In the summer I can do less laundry during the week to allow for day trips and out-of-the house activities! There’s no need to spend excessive amounts of time cleaning all summer when you can be out at the beach or pool and enjoying time with the kids – so make life easier where you can. Bathroom cleaning can be made easier by spraying a leave-on cleaner in the shower each time you use it and wiping down counters daily with cleaning wipes you keep handy. Don’t feel like cleaning the toilet bowls all summer? 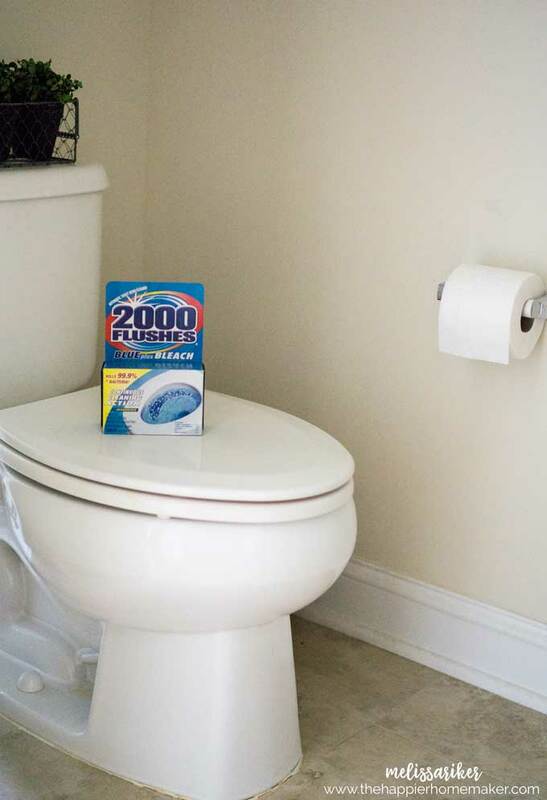 Try 2000 Flushes Automatic Toilet Bowl Cleaner – it kills 99.9% of bacteria flush after flush and continuously cleans your toilet bowl for up to four months – sounds like a winner to me! Ask my kids who cleans the house and they will tell you everyone has a job. As soon as my children could walk they became responsible for small tasks around the house. They know they are responsible for their own dishes, tidying up after themselves and weekly chores. I keep chores appropriate to their age level but honestly kids are capable of a lot more than most of us think nowadays. Even a three-year-old can sort socks or dust low surfaces. Now that my youngest is five he empties the small trash cans in the house and wipes down doorknobs and light switches. My eight-year-old is responsible for caring for our family pet, and my ten year old is learning to do laundry independently. Get the kids involved and maybe you’ll even have less housework to do all summer! I love keeping a sparkling clean, organized house – it’s part of why I started this blog years ago! But sometimes we need to step back and realize that it might not happen that day, or that week. I’m not saying to let the mess pile up all summer but we only get so much time with the kiddos before they are grown – if there are dishes in the sink and your kids ask you to come outside to catch fireflies, do it! Make memories while balancing keeping your home maintained. There is a balance there to find! Ready to make your home cleaning easier this summer? Click here to find where you can purchase 2000 Flushes Automatic Toilet Bowl Cleaner AND get a $1 off coupon here. For more cleaning and organizing tips, follow The Stain Fighting Community on Facebook. So, what are your biggest cleaning challenges in the summer when the kids are home on vacation? Let me know in the comments! Thank you, Melissa. 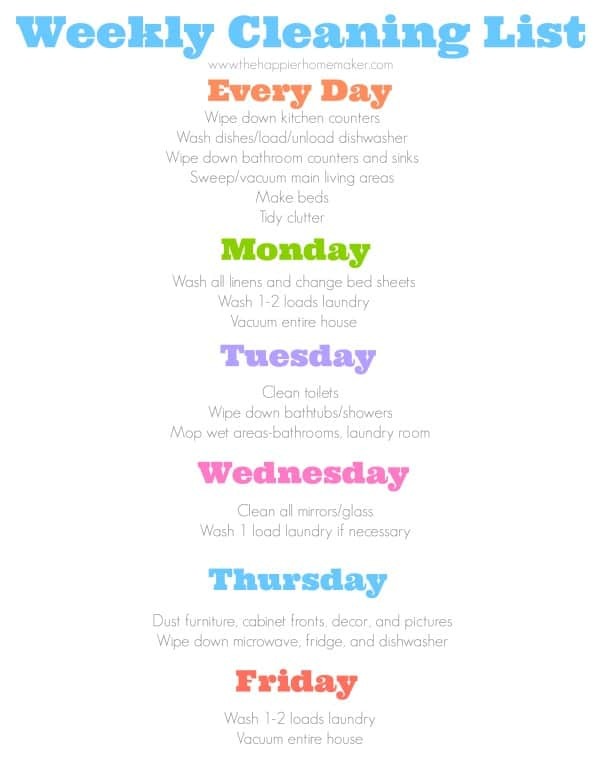 I love this simple plan for how to make your house tidy. I really love it. I like what you said about using a spray-on cleaner in order to keep bathroom surfaces cleaner. When it comes to cleaning vacation homes, it’s best to hire the services of an experienced cleaning company. If I were to hire such a company, I would make an effort to contact the best cleaning service in my area.